New Slippers Foot-pocket with N.E.D. 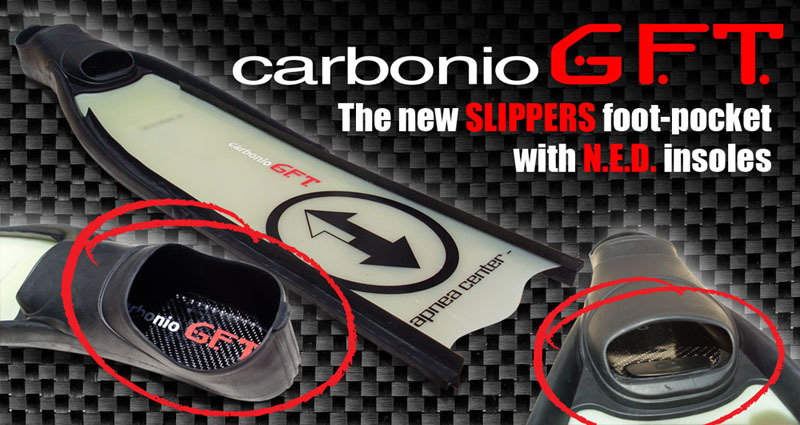 Insole by Carbonio G.F.T. I have been waiting the box for few months and finally, few days ago, I have received my new pair of fiberglass fins made by Italian brand Carbonio G.F.T. Fiberglass blades are already well known and appreciated by me. In fact, they have been my favorite blades in the last 3 years, since I have tried them by the first time… so, what’s new in it? The very big difference, this time, is the SLIPPERS foot-pocket or, better, what is inside the foot-pocket: a pure carbon insole called N.E.D. (No Energy Dispersion)!!! The idea of the insole is not new, in fact, since few years other big brands are producing plastic insoles with the purpose of reducing the undesirable gap between feet and pocket in case of needs. So, why to use an expensive material such as carbon fiber? …madness? … marketing? No, none of them! These insoles, believe it or not, have been developed simply to increase the efficiency of the kicking technique!!! I can easily say this, because I have been using the same blades (with a different foot-pocket) for several years: I know them so well, that I can perfectly recognize the different feeling due only to the change of the pocket… good to me!!! Once I have opened the box, I was admiring the perfection of both fins details: nice finishing, no scratches anywhere, no glue signs… everything was looking great. I could not resist in watching straight away inside the pocket and the view of the carbon fiber inside was simply amazing, no doubt! The N.E.D. insole is connected to the foot-pocket in a very typical way: two small Phillips-head screws on top, keeping the blade as well, and one extra Phillips-head bolt on the middle, to keep the insole connected to the pocket. I have immediately tried to bend a bit the SLIPPERS pockets, to check their flexibility and, for the first time ever, I saw that the soft rubber, of which they are made with, can be easily bent but not on the “floor”, because of the carbon insoles. This looks interesting, in fact, once I have removed the insole to see the difference, the feet-pocket became suddenly too much flexible to be properly able to transmit the energy in the correct way… the name SLIPPERS is really appropriate! Thanks to the new N.E.D. insoles, Carbonio G.F.T. could choose a very soft and comfortable rubber (amazing for the feet), without compromising the efficiency of the kicking technique. We don’t have to forget that the biggest loss of energy comes generally from a non perfect transmission of the legs power to the blades: with N.E.D. insole, you can be sure that no loss of power will happen again! The morning after, I went to our house reef very early (not too early honestly!) for a quick test of the efficiency of those new fins in the sea and I was nicely surprised by having the confirmation of what I have imaged the evening before: despite the very soft and comfort rubber, I couldn’t feel at all the end of the blade under my feet (as it usually happen with other well known brands and models) and the feeling of a solid connection between feet, pocket and blades, was very nice and strong… no bad! Once I started to dive, the same feeling of “control” and solid contact with all parts involved in the kicking technique were confirmed and gave me a very good sense of power, overall at depth, where the beginning of the ascent were efficient and without any leak of speed, despite my extreme negative bouncy. Honestly, I haven’t checked with the timer if the insoles produced a real improvement of my performances, in term of dive-time for a fixed depth. Since free diving is pretty much based on feeling and relaxation, I strongly believe in my sensations and this time the difference was so evident! I’m sure that, after a very short time of adaptation, anyone can see better performances due to the optimization of his own favorite kicking technique. If you are often traveling with your free diving equipment, the only small note I could suggest about the insoles, is to replace the central Phillips-head bolt with Allen-head bolt. In fact, due to its position inside the foot-pocket, an Allan key would simplify the unscrewing and, therefore, make it easier to carry on your fins all around the world, into your favorite top dives sites. Currently Carbonio G.F.T. produces N.E.D. insoles only for SLIPPERS foot-pocket. 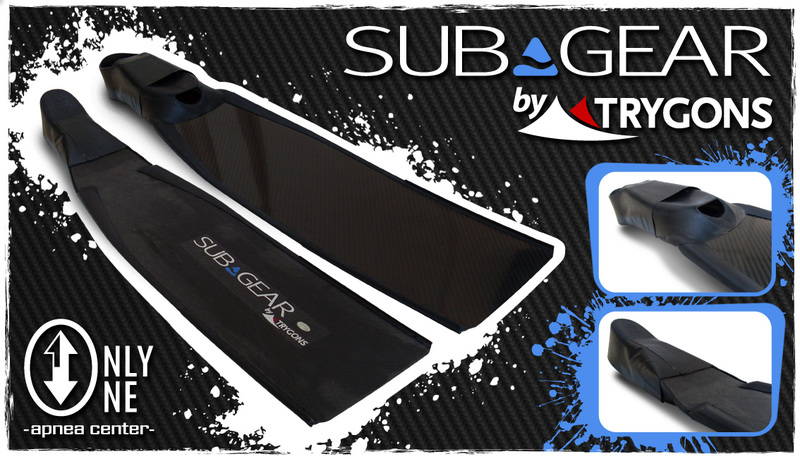 I really hope in the future they will be able to provide them for every foot-pocket in commerce… with a fair price of 32.00€, this is surely a “must have” for all advanced free divers! Stai pianificando le tue vacanze a Sharm El Sheikh? Scrivici Giovedì 27 Giugno, tramite il modulo di contatto del nostro sito web. Digita il tuo nome, cognome, e-mail e scrivi LEZIONE GRATUITA nelle note. Le prime 10 persone che ci contatteranno, riceveranno, tramite e-mail, un buono omaggio per partecipare gratuitamente ad una lezione collettiva, condotta da uno dei nostri istruttori d’apnea. Argomento della lezione a tua scelta, tra quelli suggeriti dall’istruttore, secondo la tua attuale esperienza come apneista (tecniche di respirazione, tecniche di rilassamento, tecniche di compensazione). Se non hai nessuna esperienza, potrai solo partecipare ad una lezione di TECNICHE DI RESPIRAZIONE. Il buono è valido fino al 31 Decembre 2013. Planning your holidays to Sharm El Sheikh? Write us on Thursday 27th of June, through the contact form of our website. Type your name, surname, e-mail and write LESSON FOR FREE in the note. 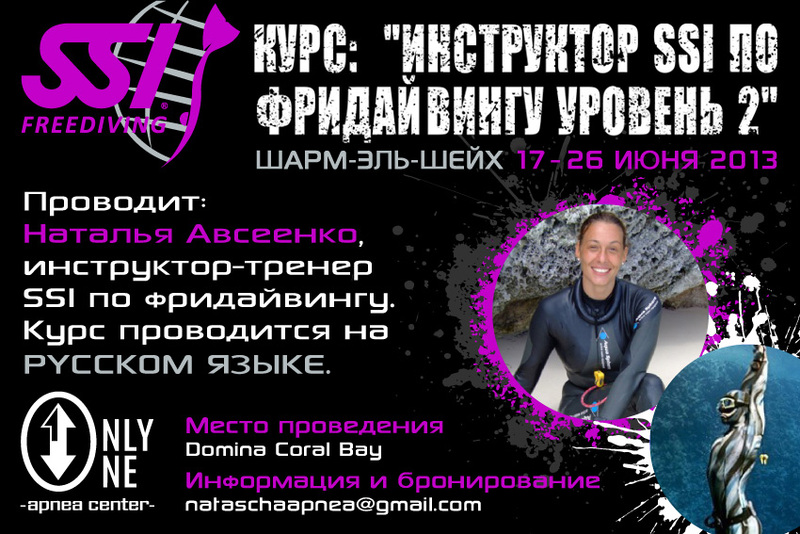 The first 10 persons who will contact us, will receive, by e-mail, a voucher to participate, free of any charge, in a collective lesson, run by our freediving instructors. Topic of the lesson at your choice, among those suggested by the instructor, according to your current experience as freediver (breathing techniques, relaxation techniques, equalization techniques). If you have no experience in freediving, you can participate only in the BREATHING TECHNIQUE lesson. The voucher is valid up to 31 December 2013. Наталья Авсеенко, инструктор-тренер SSI по фридайвингу. Курс проводится на базе профессиональной фридайвшколы Only One Apnea Center, расположенной на территории отеля Domina Coral Bay. Sharm El Sheikh, from 13th to 17th of April 2013. 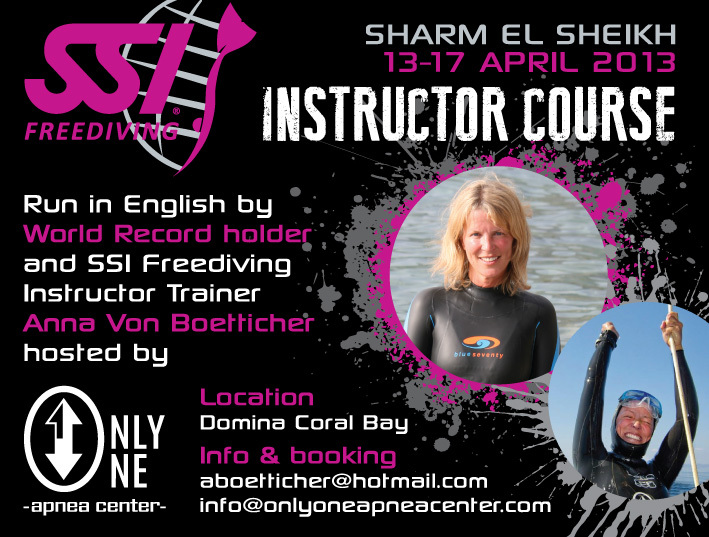 World Record holder and SSI Freediving Instructor Trainer Anna Von Boetticher will be teaching an SSI Freediving Instructor Course in English. 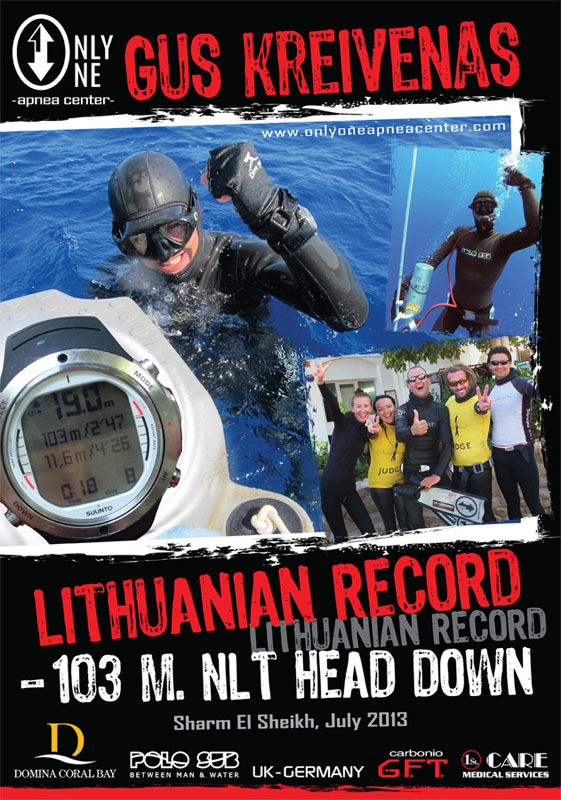 Course will be held at Only One Apnea Center, inside Domina Coral Bay, where freedivers can train in outstanding conditions. This course will be limited to 4 spaces so register today!